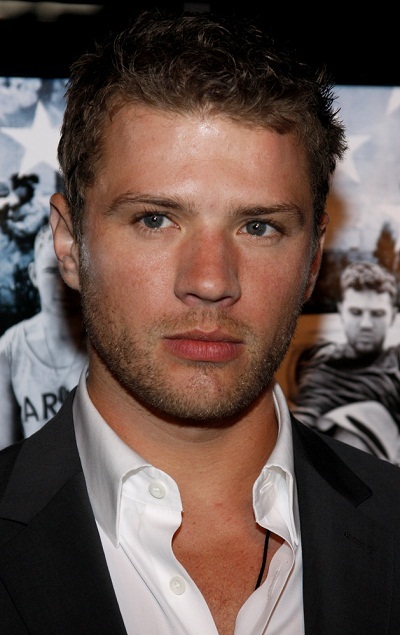 Place of Birth: New Castle, Delaware, U.S.
Ryan Phillippe is an American actor, director, and writer. Ryan has two children with his former wife, actress and producer Reese Witherspoon; and a daughter with his former partner, actress and singer Alexis Knapp. While some may assume that the surname Phillippe is of French origin, in Ryan’s case, the surname was spelled Phillippi several generations back. Ryan’s patrilineal great-great-great-great-great-grandfather, Johannes/Johann Adam Phillippi, was an ethnic German emigrant, from Volksberg, Alsace, and the surname traces back to Switzerland before that. Johannes was the son of Johannes Georg Phillippi and Maria Christina Cleiss; his wife, Ryan’s five times great-grandmother, was Maria Eva Barbara Eichelberger, who was also of German descent. Ryan’s paternal grandfather was Furman Dale Phillippi/Phillippe (the son of Samuel David Phillippi and Pearl Loretta Gentry). Furman was born in Tennessee. Samuel was the son of Andrew James Phillippi and Sophia C. Cress. Pearl was the daughter of Robert Phillip Gentry and Mary Loretta Cress. Ryan’s paternal grandmother was Eunettia Amelia Hash (the daughter of Carl Hash and Rose A. Dool/Pool/Poole). Eunettia was born in Pennsylvania. Carl was the son of Orville H. Hash and Amelia Rutherford. Rose was the daughter of George Powell Pool/Poole and Almeda Jeannette/Nettie Carico. Almeda may have had distant French Huguenot ancestry, as the Carrico/Carricoe family in the United States is said to originate with French Huguenot ancestors in the 1600s. Ryan’s maternal grandfather was Robert B. Thomas, Sr. (the son of Joseph Francis Thomas and Jennie Smith). Robert was born in Delaware. Joseph was the son of John Thomas and Mary. Jennie was the daughter of Thomas Smith. Ryan’s maternal grandmother was Eva Selina Cockerill (the daughter of George Cockerill and Clara Stevens). Eva was born in Delaware. George was born in Staffordshire, England, the son of William Cockerill and Jane Thomas. Clara was the daughter of parents who were born in Susexx, England, George W. Stevens and Ada Ann Warnett. Ada was the daughter of Phillip Warnett and Jane Fausett. So there’s no French at all in him? Ryan probably has distant or remote French ancestry somewhere on his family tree, like most people whose ancestry goes back to the 1600s in the U.S. But I think he was talking about the Phillippe line. The surname Phillippe wasn’t originally ethnically French in this case, it just sounds French. I see, in his wiki it says he’s part French with that link. I guess he must be like 1/16 French or less. Where the name PHILIPPI does come ?